This week in New York, the United Nations accepted deposit of the 1st instrument ratifying a Kampala amendment to the 1998 Statute of the International Criminal Court. And that may be the rub. Ratified was a Kampala amendment to ICC Statute Article 8(2)(e). Upon entry into force, it would authorize war-crimes jurisdiction over the use of specified dumdum bullets and poisonous weapons -- not only over international armed conflicts, as the statute already provides, but also in armed conflicts not of an international nature. 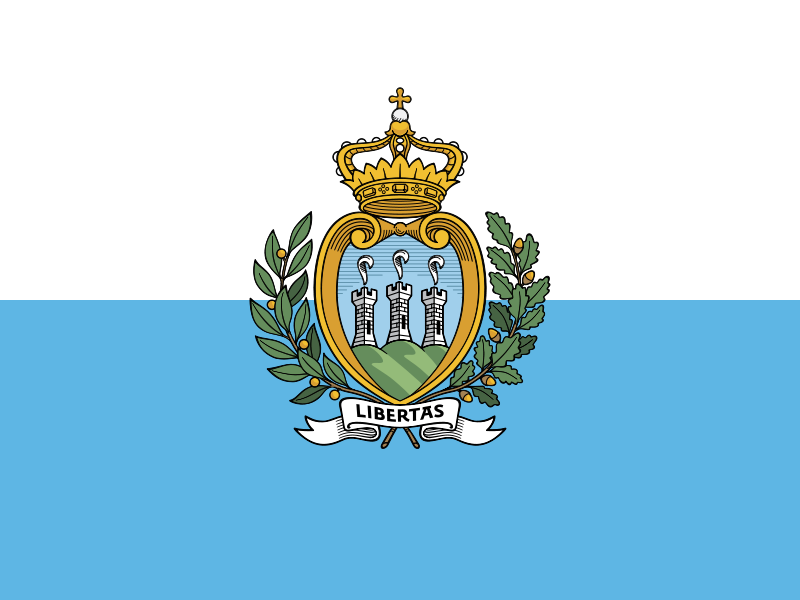 San Marino (flag at left) became the 1st state party when Antonella Mularoni, its Foreign Minister, delivered San Marino's instrument of ratification to U.N. Legal Counsel Patricia O'Brien. Appears no other state took this step during Monday's annual U.N. treaty event in New York -- notwithstanding that well over a year has passed since the ICC Review Conference in Kampala. And Article 8(2)(e) was supposed to be the easy change. Far more innovative, of course, were other Kampala amendments about which we've frequently posted -- the package of crime-of-aggression amendments that, if ratified, would authorize the ICC to pursue individuals believed responsible for the offense. (Our colleague Bill Schabas blogged last week "that Germany hopes to be the first to ratify the aggression amendments.") The crime last was prosecuted internationally in the post-World War II trials at Nuremberg and Tokyo. Posts by various IntLawGrrls have indicated potential legal complexities within that package; my own 2010 miniseries on the issue is here, here, and here. Right after Kampala, some predicted that proposed Article 8 bis and the other aggression provisions soon would be part of the ICC Statute. By the package's own terms that can't happen unless 30 ICC states parties, and even then not until the year 2017. At the end of the Review Conference, 2017 seemed quite a ways off. It's less so now that 15 months have lapsed. Yet only 1 state has ratified even 1 piece -- a small, easy piece -- of the Kampala amendments. The comparison points to a slowgoing, piecemeal ratification process, and so provokes questions about political will with regard to preventing and punishing the crime of aggression.